Mark McManus, as DCI Jim Taggart, made us feel safe. He had his faults, of course. He didn’t suffer fools gladly and he wasn’t slow to tell the fools about it. But if you were to choose a moral compass for a policeman then that of a taciturn Scot, who doesn’t really seem to have changed his views since the 1950s, is as good a direction to follow as any. We all know a Taggart. They’re a rarer species than they once were, but aren’t extinct. The lesser-spotted Taggartus-Grumpius doesn’t approve of a lot of things. And will speak his mind – oh yes he certainly will – when he gets the chance. Isn’t that your father? Your grandfather? Head teacher? BB captain? There was no rabbit-out-the-hat mystery-solving. It was (or seemed) very real. Watching him fight crime in his logical, hard-working way was like watching victories for the hard-bitten, cynical men you grew up with. Livingstone, Mike Jardine or Jackie Reid was reassuring. 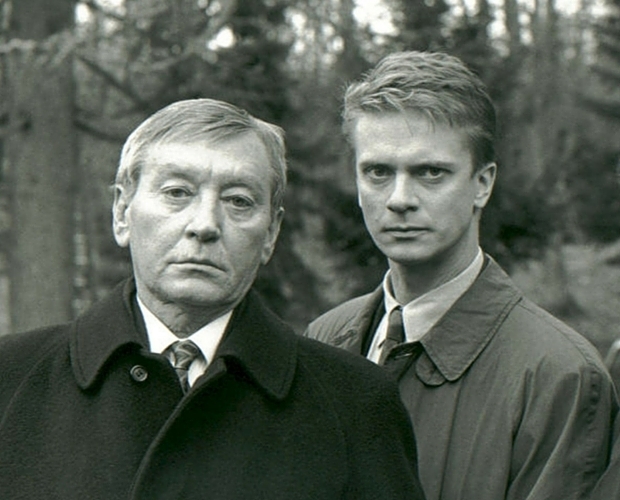 It’s now obligatory to use the phrase: “There’s been a mur-dur” when talking about Taggart. But the show was so much more than one catchphrase. That it survived 17 years after Mark McManus died is a testament to its success – and to the superb writing of Glenn Chandler. Any writer will tell you that, once you truly establish a character, the writing flows by itself. You don’t need to think how your characters will react to a situation, you know their thought processes so well that they react and speak on their own. So it was with the Taggart characters. They were so strong that they lived on after the title character’s death because that’s what would happen in the real world. It is a ringing endorsement of the characterisation and acting of the likes of James MacPherson and Blythe Duff. And the fictional world of Taggart was so well realised that Alex Norton, John Michie and Colin McCredie were able to seamlessly settle into the “truths” of the show. You might argue it was eventually cancelled, in 2011, because the social points of reference – craggy-faced, uncompromising old Scotsmen – were becoming rarer. Taggart didn’t stop being good, its type of person died out.